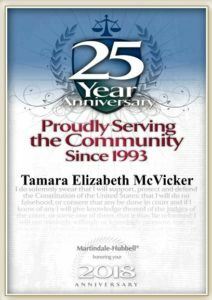 McVicker’s Family Law Mediation Center, Professional Law Corporation, is an established and respected law firm that provides Divorce Mediation Services & Family Law Mediation Services to assist clients in resolving family law disputes. The Center offers a private conference room for conducting mediation and negotiating settlements. Once an agreement is reached, the mediator can prepare all documentation to finalize your divorce or agreement and submit it to Court to become a court order. Based in Lake Elsinore, California, we are proficient with the filing procedures and protocol of the family court system throughout all of California. Our mediator attorney and understanding staff have the necessary skills to help guide you through the mediation process. No matter how simple or complex your issues are, we are focused on resolution. Please read Our Mediator and Our Team to learn more about our professional backgrounds. Divorce Mediation: Divorce is an overwhelming process, and often litigation only adds to the emotional toll on the entire family. A skillful divorce mediator can relieve much of the financial and emotional burdens that accompany the end of a marriage. We provide professional Divorce Mediation to assist couples in resolving disagreements over issues of child custody and visitation, child support and spousal support, the sale of property, and the division of business interests, assets and debts, outside of a courtroom in the peace and comfort of McVicker’s Family Law Mediation Center. Family Law Mediation: Not all family law issues center around divorce. Often problems flare up concerning child support, child custody and child visitation for unmarried parents or legally separated spouses. There may also be continuing issues of spousal support or undivided assets, property and debts years after a divorce has concluded. For many individuals faced with these issues, mediation is a better option to reduce costs and stress. To find out if Family Law Mediation is the right choice for you, contact McVicker’s Family Law Mediation Center today. McVicker’s Family Law Mediation Center, Professional Law Corporation, will help you privately and professionally settle your disputes. Let our mediator work with you to address your family law matter. Our office is conveniently located in Lake Elsinore, California, at the Canyon Hills Marketplace. Call McVicker’s Family Law Mediation Center at 951-244-8759 to schedule your mediation or contact the Center online.